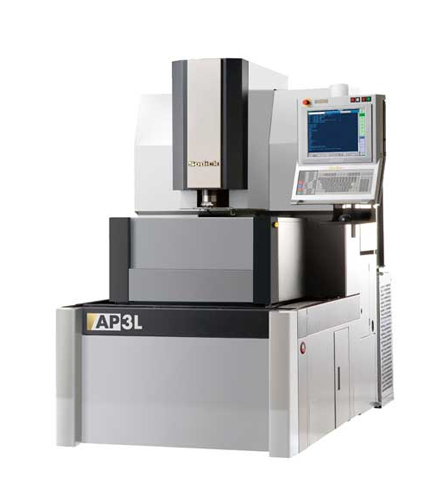 AP3L , designed for higher production efficiency in precision molds. Linear motor and unique gantry column with the new light-weighted head unit ensure high speed axis movements and accuracy in all machining areas. The new Arc-less system is equipped in addition to Super-SVC circuit to achieve the desired surfaces like satin to mirror finish with great ease at lower electrode wear rate. The AP3L developed under consideration with ecologically safe machine focussing on energy saving, recycle, reuse, safe, minimum waste, maintenance free and likes.